How Many Pairs Of Scissors Do You Need For Dressmaking? 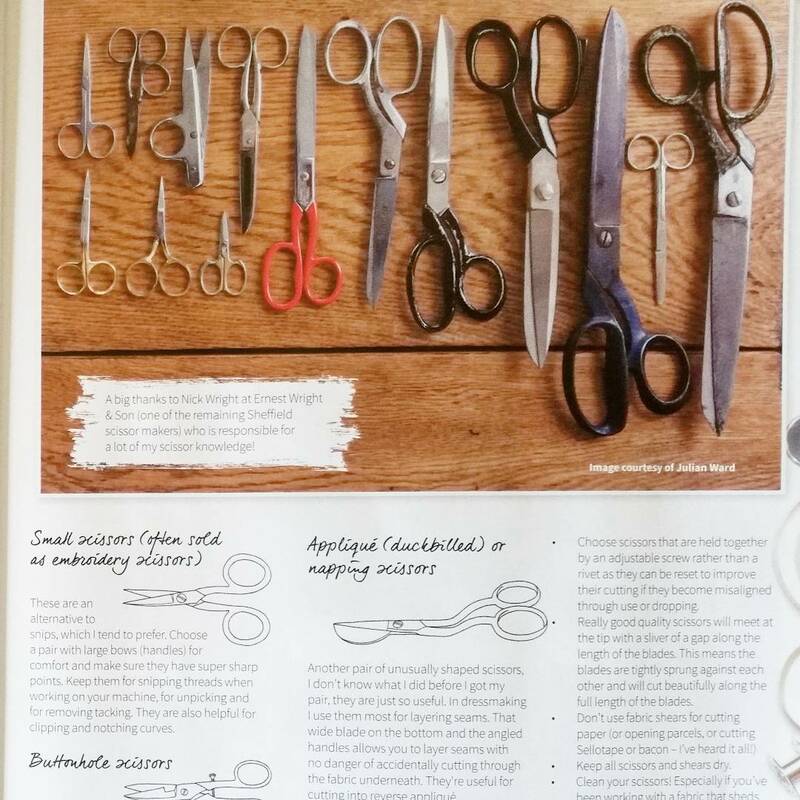 My column for this month’s Love Sewing magazine is all about scissors. Not like me to be going on about scissors is it?! Anatomy of a pair of scissors. 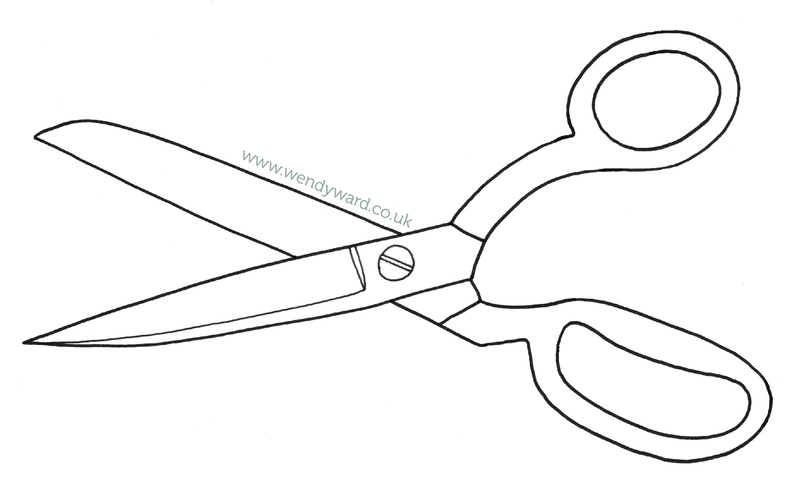 What is the difference between scissors and shears? A good question as fabric cutting scissors often appear to be interchangeably called dressmaking, fabric or tailor’s shears or scissors. Well, apparently when scissor blades are longer than 15cm or 6 inches, they become shears. Have handles set at an angle to make it easier to ensure the fabric is lifted as little as possible from the cutting surface. The lower handle is larger to accommodate your fingers and handles are often molded to be a more comfortable fit. They come in different sizes, which refers to the length of blades. I like to work with 10” shears, but 8” are also useful and probably easier for beginner dressmakers. 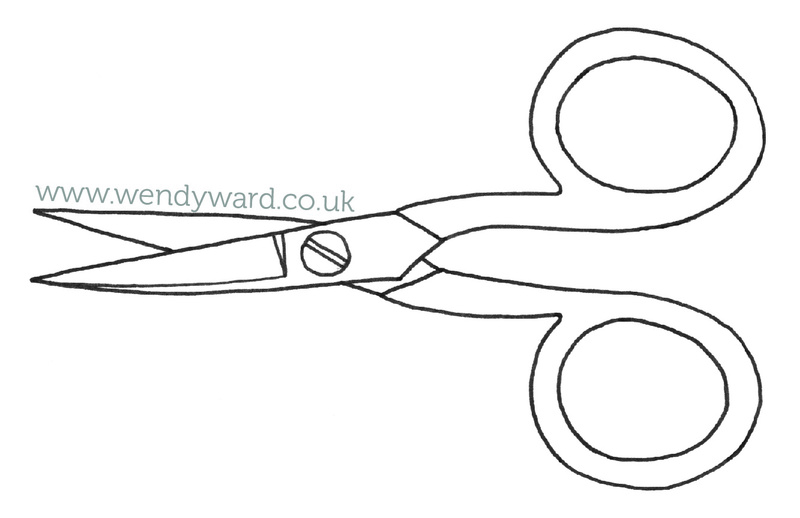 Make sure you have a reasonable sized pair of scissors for cutting paper patterns. I prefer to use a similar style of scissors to my fabric ones, ie. angled handles and long blades. Cheap poor quality fabric shears actually make great paper scissors! For snipping thread ends when working on your machine, these specially shaped thread snips fit onto just your 2nd or 3rd finger and sit inside your hand to give you more control. They can take a bit of getting used to if you haven’t used them before, but many sewers love them and won’t use anything else. An alternative to snips which I tend to prefer. Choose a pair with large bows (handles) for comfort and make sure they have super sharp points. Keep them for snipping threads when working on your machine, for unpicking and for removing tacking. Unusual shaped scissors, with short blades and often with an adjustable screw between the handles. The screw is adjusted so that the scissors can only cut the length of your buttonhole! Much more accurate and tidier than cutting buttonholes with a seam ripper. Another pair of unusually shaped scissors, I honestly don’t know what I did before I got my pair they are just so useful. Interchangeably also referred to as duck-billed or napping scissors. In dressmaking I use them most for layering seams. That wide blade on the bottom and the angled up handles allows you to layer seams with no danger of accidentally cutting through the fabric underneath. They are also useful for cutting into reverse appliqué. As a bare minimum aim to have a pair of each of the following in your sewing tool kit. Save up and buy quality and you will only need to buy them once. As you start to do more sewing, you will find these useful so invest in them as and when you can (or stick them on your Christmas list! ), but again, quality only and they’ll last you a lifetime of sewing…..
A big thanks to Nick Wright of Ernest Wright & Son (one of the remaining Sheffield scissor makers) who is responsible for a lot of my scissor knowledge! 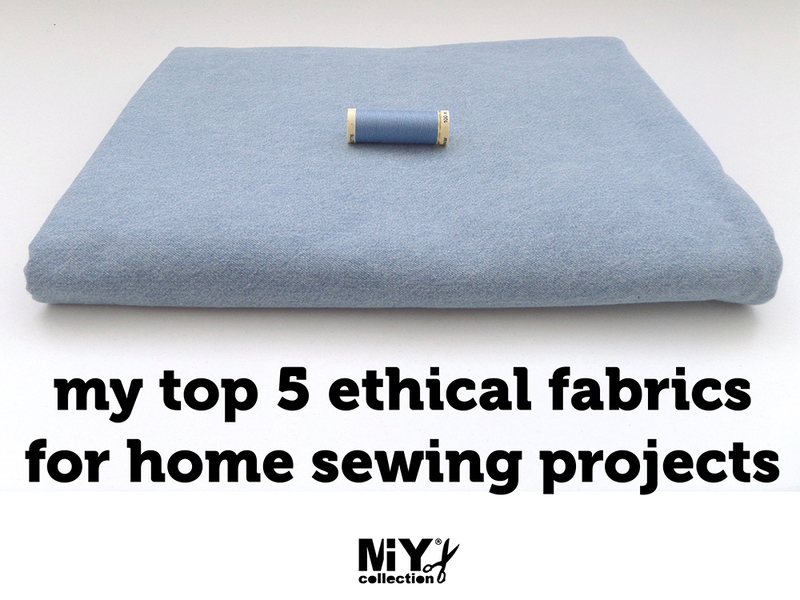 Why Use Ethical Fabrics in Your Dressmaking? Most of us are aware of (and probably also buy) fair trade food and several factory fires and collapses in overseas garment factories over recent years have widened awareness of ethical fashion. There are lots of brands now championing the movement; probably the most well-known being People Tree. But what about the fabric you use in your dressmaking? One of the reasons I love to make my own clothes is that it puts me in direct control of a major part of the garment making cycle – I made my clothes, so I know that no workers were exploited or environments damaged in making them, right? Well it’s a start, but what about the fabric? Around the world, £40 billion is spent annually on textiles. In 2009 the UK fashion industry alone spent £229 million on textiles. 2007 to 2011 saw a 75% increase in the market for ethical fashion. A not insignificant part of our economy! To find out more about how those of us that make our own clothes can use ethical fabrics I approached Charlie Ross an ex fashion designer trained at the Royal College of Art and went on to set up Offset Warehouse to see if she would agree to an interview. I was over the moon when she agreed to share some of her knowledge with us, so here it is. Wendy: What makes a fabric ethical? Charlie: Ethical fabrics are those that are environmentally or socially beneficial, and preferably both. This includes fabrics that are organic, Fairtrade, made from responsibly-sourced raw materials, are recycled, and are manufactured by workers who are paid a fair wage or have a stake in the business. Wendy: I guess if I’m going to use ethical fabric in my next project I should also consider how all the other parts are made such as threads, zips, binding, elastic, etc, is it also possible to buy ethically produced versions? Charlie: Absolutely! We stock all sorts of ethical haberdashery: organic threads and zips, upcycled buttons, organic interfacing, bias binding and ribbons. Sourcing these smaller items can be difficult though as the range available is still quite small. Wendy: What are the main ways that fabric production can be socially or environmentally damaging? In many cases, the damage is done before the fabric even becomes a fabric! A prime example is cotton – a fabric we are all led to believe is natural and therefore good – which it certainly is if it’s organically produced. But commercially-grown cotton is not. Its production covers 55% of the world’s cultivated land, yet it’s responsible for the release of US$ 2 billion of chemical pesticides each year! Just under half of these chemicals are considered toxic enough to be classified as hazardous by the World Health Organisation. That’s just shocking, and not enough people are aware of it. The Aral Sea in Central Asia is another example. In the early 1960s, the Soviet government decided to divert the two rivers which fed the Aral Sea in order to irrigate the desert so they could grow cotton and other crops. The result of this was the entire sea was completely drained, and the lands left behind were turned into carcinogenic wastelands – all because of unsustainable farming. That’s why I love sourcing and designing fabrics made with more unusual fibres, such as hemp, soy, bamboo and banana. I know what you’re thinking – common perceptions are that these more ethical fibres can be scratchy to the touch, but I source some of the softest, most beautiful, fashionable fabrics in amazing eco fibres! Hemp, for example, has a terrible reputation for being hippy and grungy, but we sell the most stunning hemp silk blends in amazing colours. Driven by today’s culture of fast consumerism, and in order to compete with increasingly low prices, the textile industry has had to cut corners. Most conventional fabrics are produced by untrained, underpaid (and sometimes not paid at all), overworked staff, in unsafe surroundings. These textiles require highly toxic chemicals to produce them, and these are often handled by workers without the proper safety equipment. This was one of the main driving forces behind my quest for ethical fabrics – and how I eventually came to start Offset Warehouse. I couldn’t bear the thought that my sewing creations might be harming someone, and I never considered they may have been a product of slave labour. All of our manufacturers and weavers are paid fairly for their fabrics. We also work with very small communities, who weave outside their houses and choose their own hours. They set their prices and their manufacturing timelines, and we never, ever, pressure them to decrease either. Wendy:  Is ethical fabric better quality? Charlie: Like all textiles, ethical fabrics come in a range of qualities. An organic fibre will behave no differently to a non-organic one – except there are no nasty chemicals in there – so they can be woven in exactly the same way. Therefore, there is absolutely no reason that an ethical fabric should be of a lower or higher quality. It’s sometimes easy to mistake quality for the finish of the fabric. We sell ethical fabrics that are machine woven, which have a much more consistent surface, and those that are woven by hand, which are more “slubby” and irregular. It’s easy to look at the slubby and irregular fabric, and think it’s a “lower” quality, but we couldn’t be more wrong. I actually prefer hand woven fabrics because of the incredible work that goes into them, their authenticity and character. Both processes produce beautiful products, and each suitable for different things. Wendy:  Do I have to treat ethical fabric any differently to my regular fabric? Charlie: Absolutely not! In fact, when opting for more sustainable fibres like hemp, linen and soy, you’ll find that your fabric will be a lot easier to care for. Where can I buy ethical fabrics? They’re still not that widely available, but there if you look for them. Some online fabric retailers have started to add organic collections or special limited collections sourced direct from artisan groups in places like India, there are also a few specialist online retailers if you search “where to buy ethical fabrics” you should set off on the right track! If you can’t find ethically produced haberdashery – recycle and re-use! Before you get rid of old clothes take off the buttons, zips, clips, hooks and save them for future projects. Did you know that the most impact from a textile comes right from our very own homes? With the amount of energy and chemicals we use just by using our washing machines, we are pumping huge amounts of pollution into our air and water on a daily basis. Washing on a quick, low-heat wash – or better yet, hand washing – can make a huge difference. A huge thanks to Charlie for this interview and providing me with facts and figures. I interviewed Charlie for issue 21 of Love Sewing magazine (out now) and this is the full un-edited version of the interview which was a wee bit too long to fit in my pages of the magazine! Offset Warehouse is a social enterprise which brings together a huge range of hand-picked eco fabrics and haberdashery. All of Offset Warehouse’s products benefit either the people who make them, or the environment, and usually both. This includes products that are organic, Fairtrade and made in cooperatives. Charlie Ross founded the company five years ago. Graduating from the Royal College of Art with a Masters in Menswear Design, she continued on to work with some of the biggest names in the fashion industry. Charlie and her team source the most beautiful, hand-crafted and fairly-sourced fabrics, trims, threads, dyes and glues from across the globe, and sell from one to hundreds of metres at affordable but fair prices. And because of her fashion background, the website is always up to date with current and future trends, proving that you can be eco and fashionable. Most importantly, you can feel good knowing exactly where your fabric has come from, and who has made it. And that’s a good thing, for everyone. The world of Indie Sewing Patterns expands by the day, which is good news! Being able to use patterns from independent designers is great, but with so much choice out there, how much do you really know about them? This is a blog post I’ve been meaning to write for months and as it’s now Sew Indie Month and I’m a part of that amazing project, I thought it was the perfect time! It’s a subject which has been touched on recently by Abby Glassenberg in this post about an accreditation system, with some interesting discussions in the comments. Although it initially sounds like a good idea which does appeal to to me, I personally don’t think any kind of accreditation system could work; it would be too cumbersome and inevitably result in some sort of subscription or membership fee being due which would push up the price of patterns. Other options are review sites and curated sites. Of the review sites there’s really only one main one; Pattern Review, it’s thorough, it’s well-used (I think, have you ever used it? ), but couldn’t it just do with a bit of an image overhaul? In dressmaking we are sadly lacking a Ravelry equivalent. For all you non-knitters, Ravelry is like Facebook for knitters! Of the knitters I know it seems to be well-used and well-loved. Of the curated sites, there’s Kollabora and Indiesew. Kollabora has a huge choice, but it doesn’t just stop at dressmaking and includes other crafts. 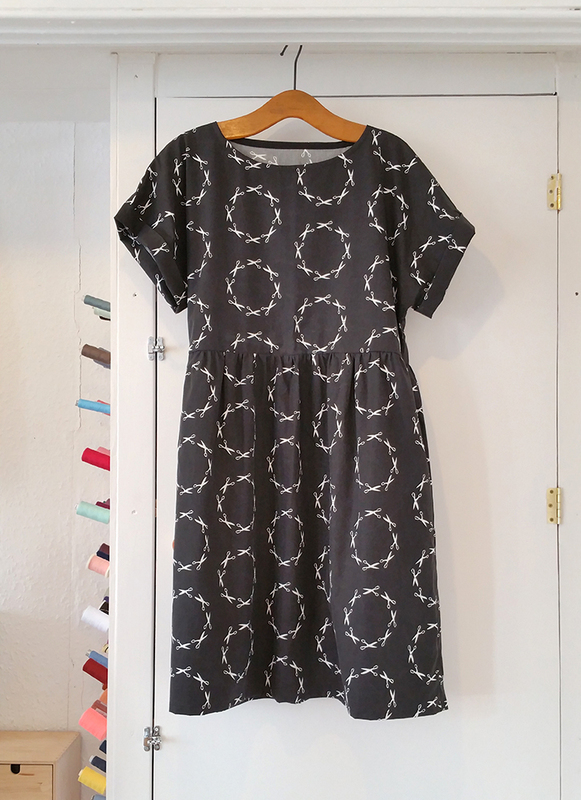 Indiesew focusses just on dressmaking, but it doesn’t stock some key designers. My main reservation about sites like these is that well, didn’t we all think that one of the many great reasons for buying from indie designers is that you know exactly where all of your £$ is going?? Indiesew and Kollabora are both predominantly market places and they take their cut. Then there are organised events and PDF pattern bundle sales like Sew Indie Month and what was Perfect Pattern Parcel, where patterns are bundled together from reputable indie designers with the proceeds going direct to the designers and also a proportion going to charity. So really, the best way to check out the credentials of an indie pattern designer, or find one that shares your dressmaking vision, is going to be recommendations from stitchy friends and doing your own research. Do they have relevant training? Have they worked in the fashion industry with garment-making experience? Have they drafted the pattern themselves? If not, why? Is it because they can’t pattern cut? 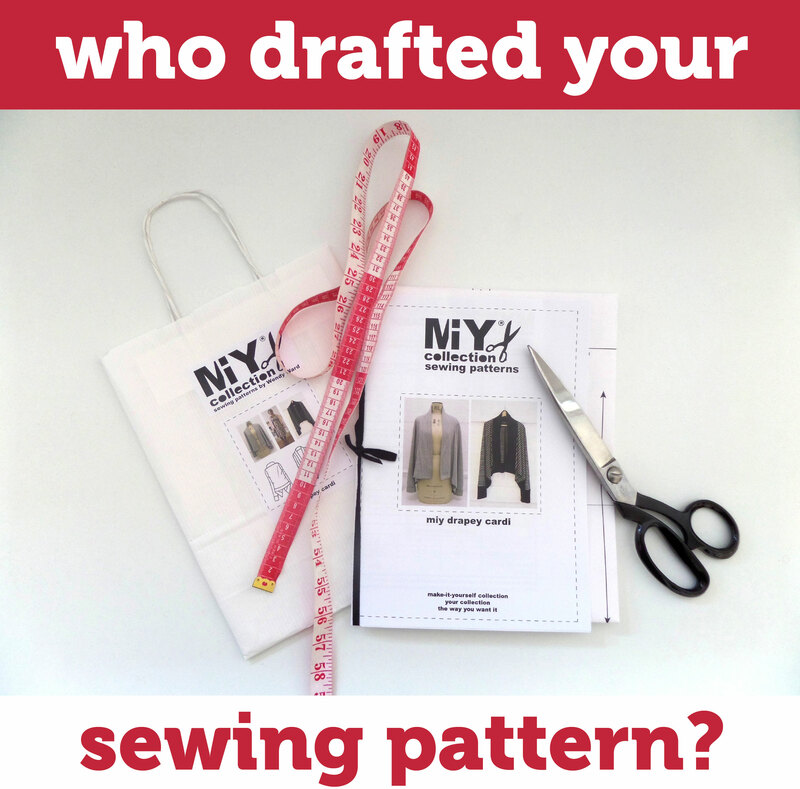 Someone who doesn’t draft their own patterns might not be able to help with any technical questions you might have about using the pattern. It’s one thing to come up with a nice design, quite another to be able to draft a technically correct pattern for it and really understand how it’s put together so that people using the pattern will be able to do the same. Do they have a blog/website where you can find additional technical sewing help and advice? Can you see versions that real people have made using the pattern as well as just the designer on their website? Lots of indie designers do everything themselves and don’t have a massive budget to splash out on fancy graphics, brand designers, web designers, etc so don’t rush to judge a book by its cover: beautiful, professionally designed packaging of a pattern doesn’t necessarily tell you the quality of what’s inside. Have you been watching the Celebrity version of the Great British Sewing Bee this week? What do you think? Anything that gets more people interested in sewing is a good thing in my book and even better, making t-shirts! If you know me or my blog you will know how I like to evangelise about sewing with stretch knit fabrics, so I was very happy to hear this was to be included in the show. 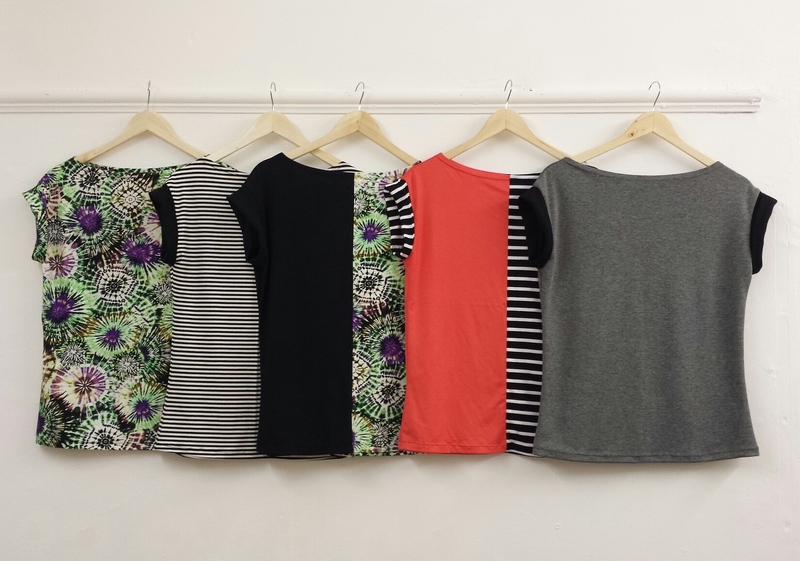 If you are feeling inspired to start whipping up your own t-shirts, read on for patterns, tips and guides to help you on your way, all tried and tested by my eager sewing students at MIY Workshop, so you can be sure they all work. 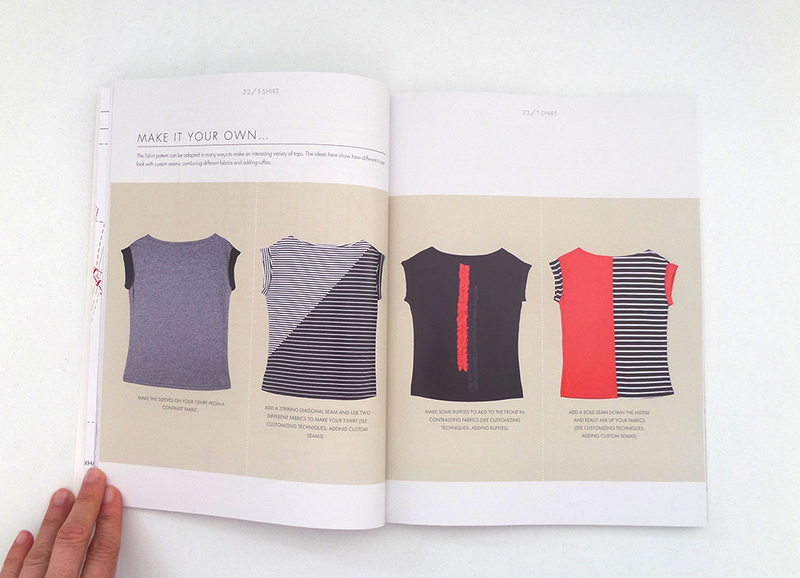 Here is the T-shirt sewing pattern from my book (“The Beginner’s Guide to Dressmaking”). It’s a really quick and easy make for beginner dressmakers. *Newbie sewers – pattern hacking = modifying an existing pattern to adapt it into a new version of the style. Something of which I highly approve as it’s creative and empowering to start with a simple version of a pattern and be able to change it a bit to create a new style. Available as a print pattern for £15 or a PDF download for £7, another easy one for beginners and infinitely adaptable for pattern hacking. How to sew t-shirt fabric on a sewing machine. Some background about the different types of stretch knit fabrics and what they’re best used for. How to sew hems on t-shirt fabrics using a sewing machine. Do you need an overlocker to sew t-shirt fabric? Where to buy t-shirt fabrics. So, once you’ve started you might want to move on from a plain t-shirt to a bit of pattern hacking, customising and embellishment. Here’s a piece I wrote last year for Sewing World magazine which includes 2 easy ways to customise t-shirts: stencil printing (like on the vest above) and using shirring elastic to change the shape of the t-shirt.